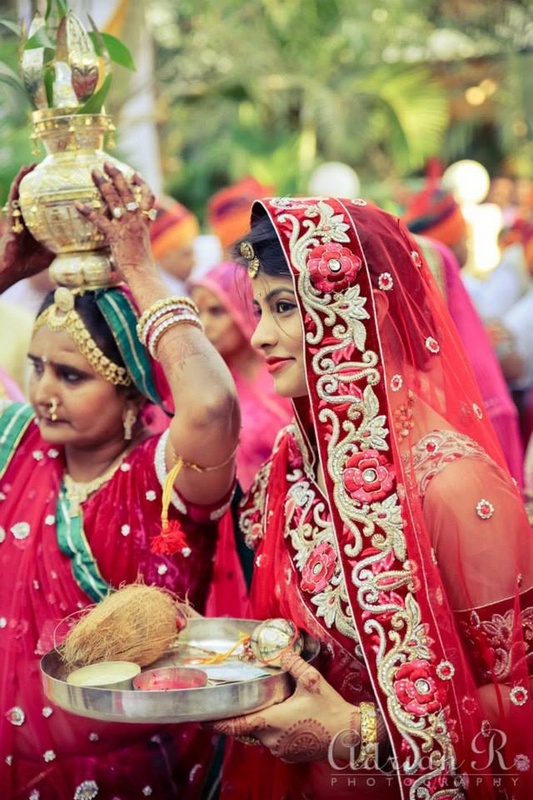 Don’t we all need a dose of wedding razzmatazz with myriad hues of emotions, rocking sangeet sessions and glitzy jewellery? 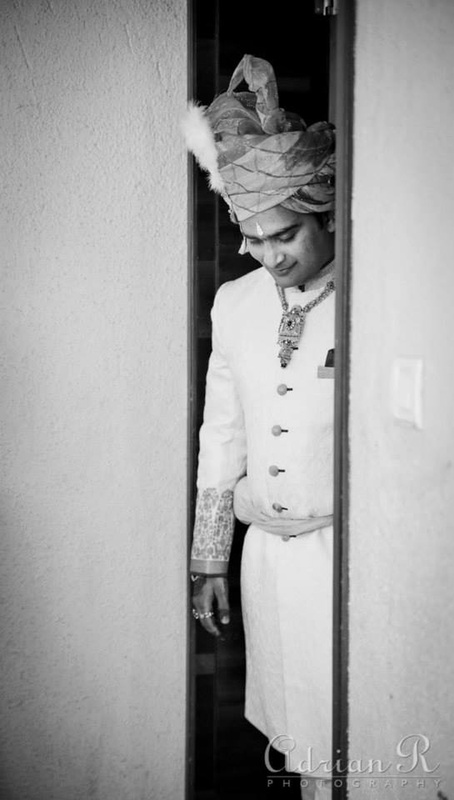 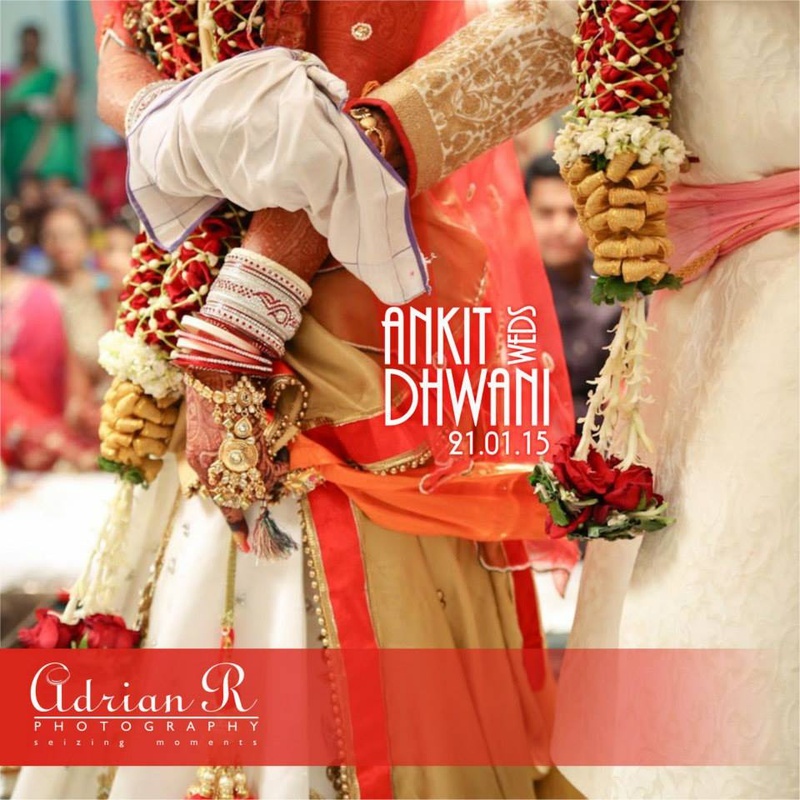 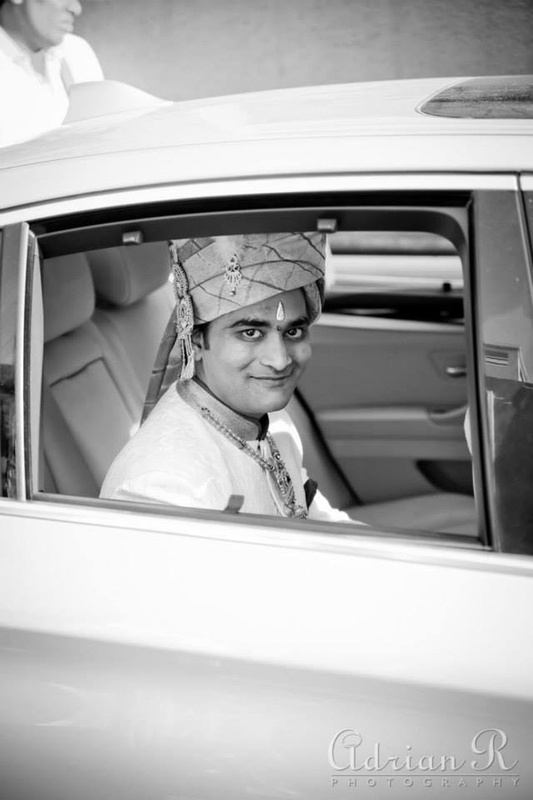 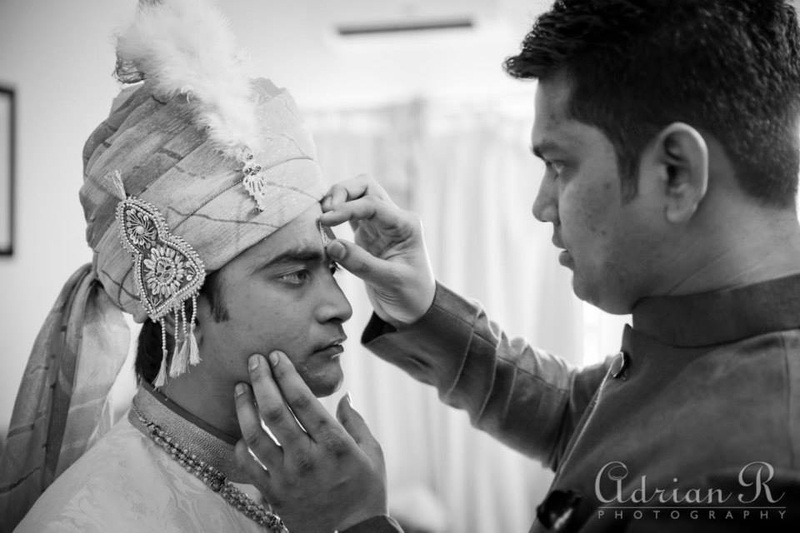 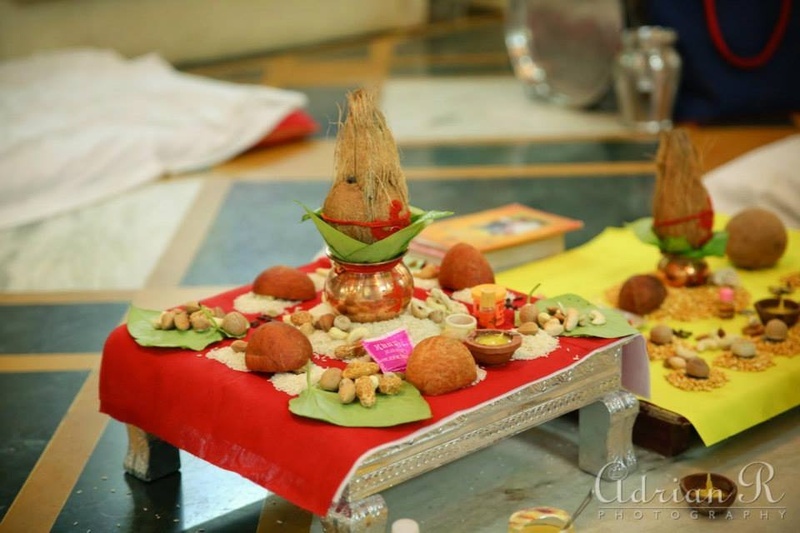 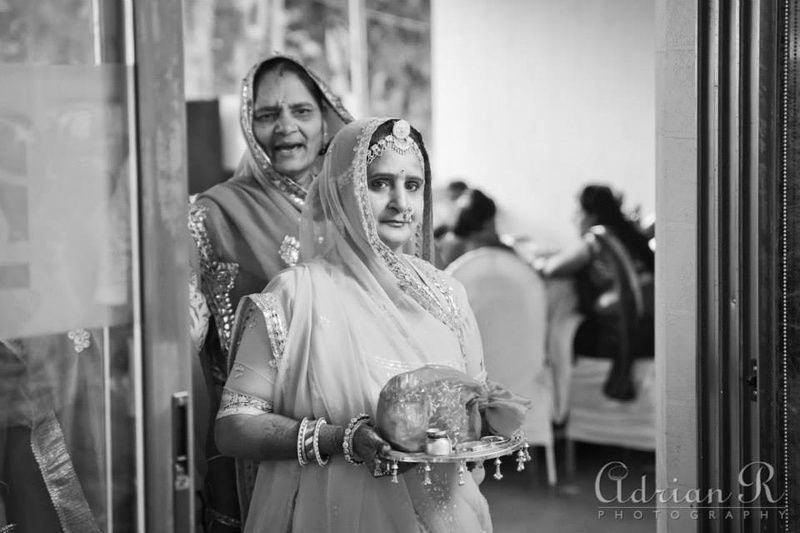 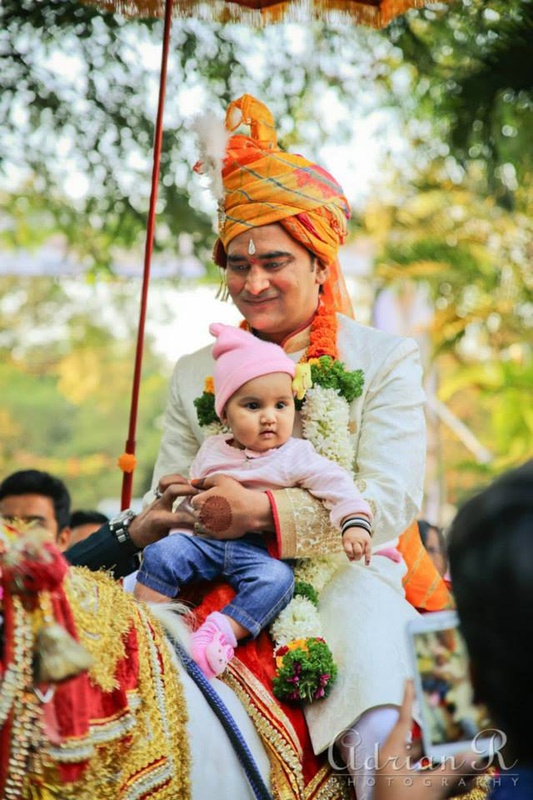 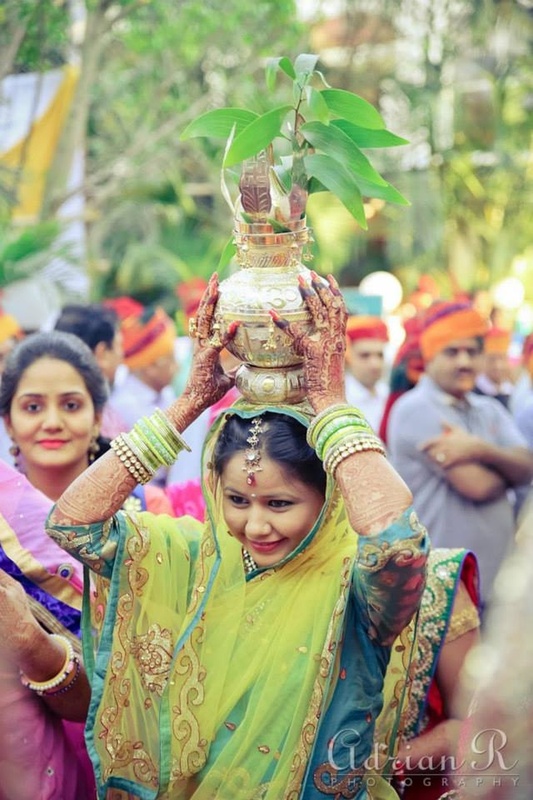 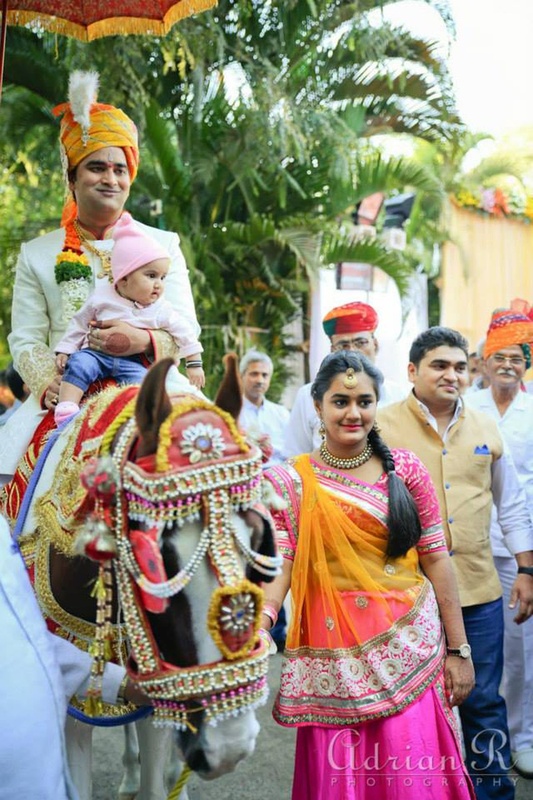 That’s all we can say about Ankit and Dhwani’s wedding, which was all about the essence of traditionalism and humble beginnings. 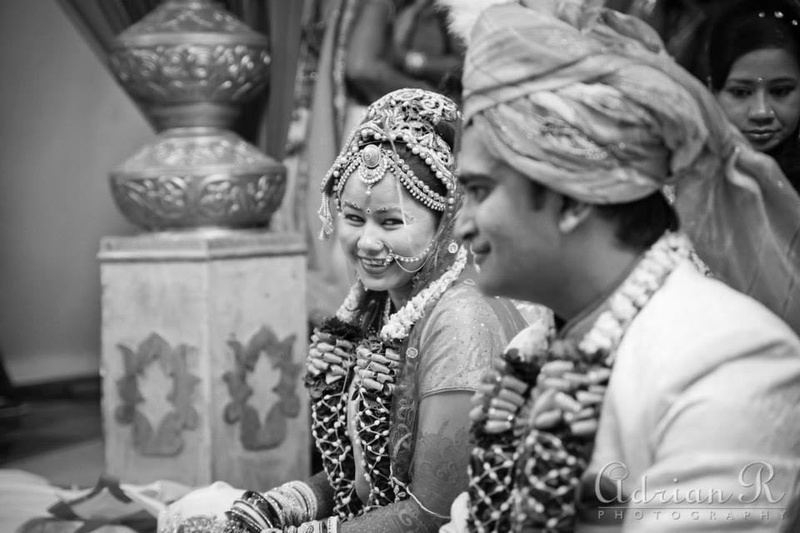 There was a certain innocence in the celebrations – right from the genuine smiles to the stolen moments between the couple. 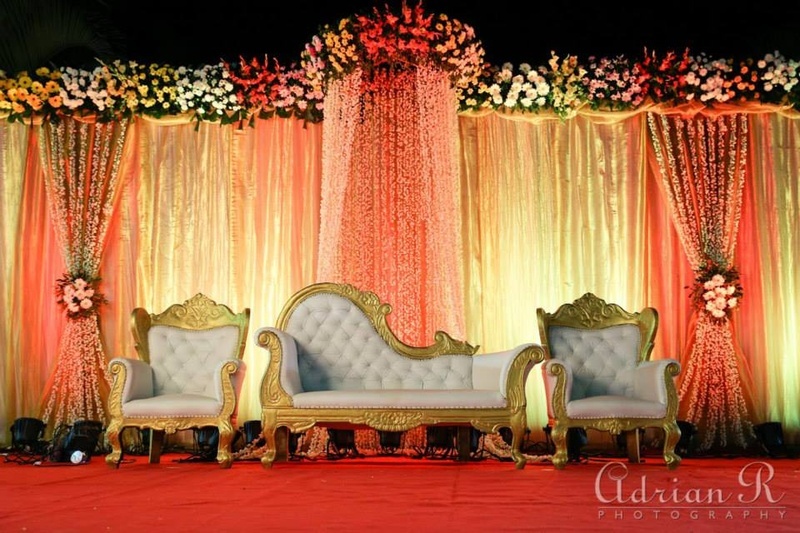 We love the decor and how innovatively the flowers and lighting was done to spruce up the look of the venue. 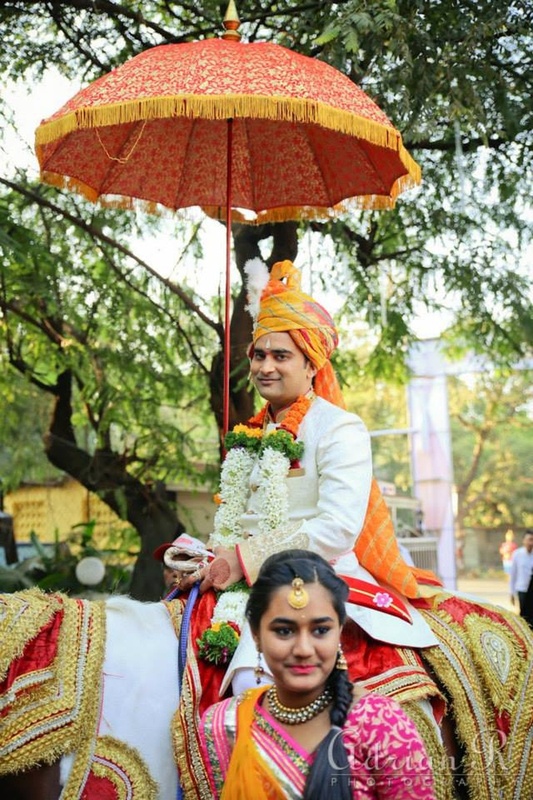 For those with a flair for the romantic, the couple didn’t shy away from celebrating love and entered through a big heart-shaped thermocol decorative piece. 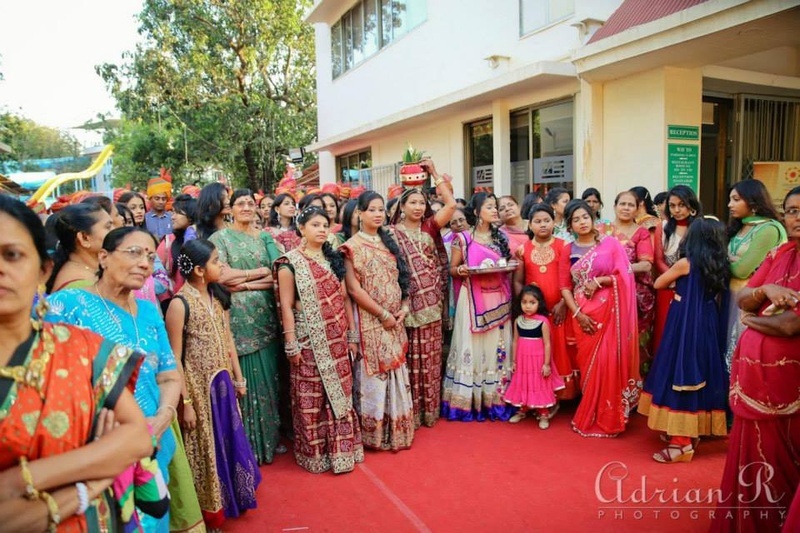 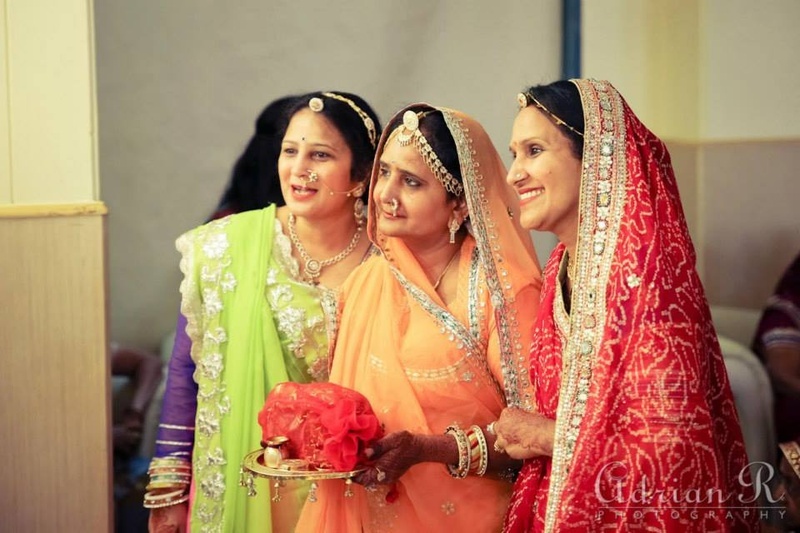 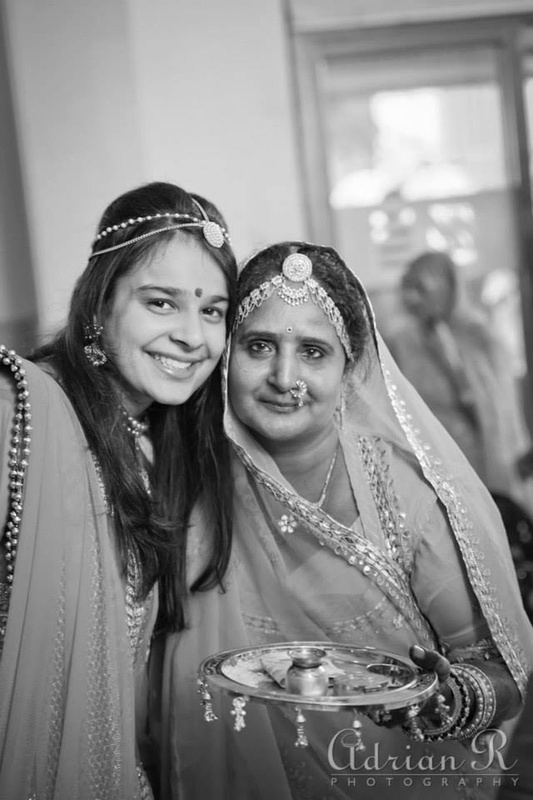 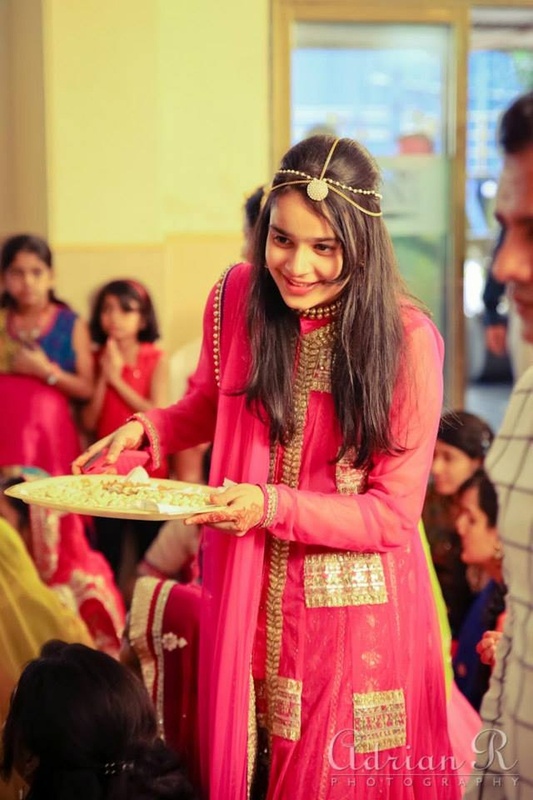 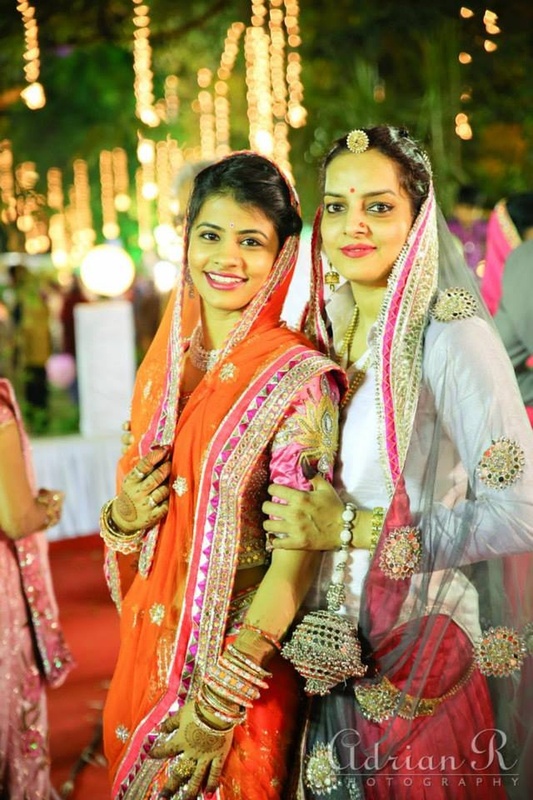 With cross-cultural influences, Dhwani wore a customised cream and red coloured saree, especially made keeping in mind her preferred color, weave and material. 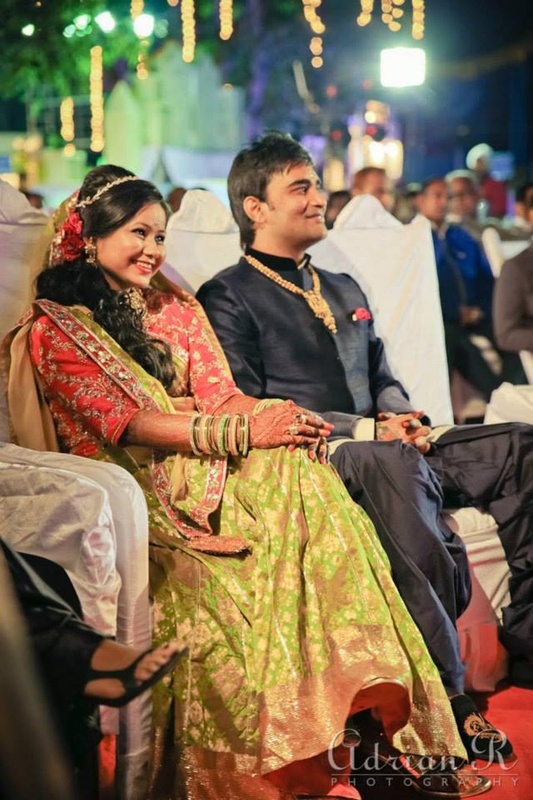 From her stunning green and coral lehenga for the sangeet to the easy elegance of the reception outfit, she looked like a traditional princess. 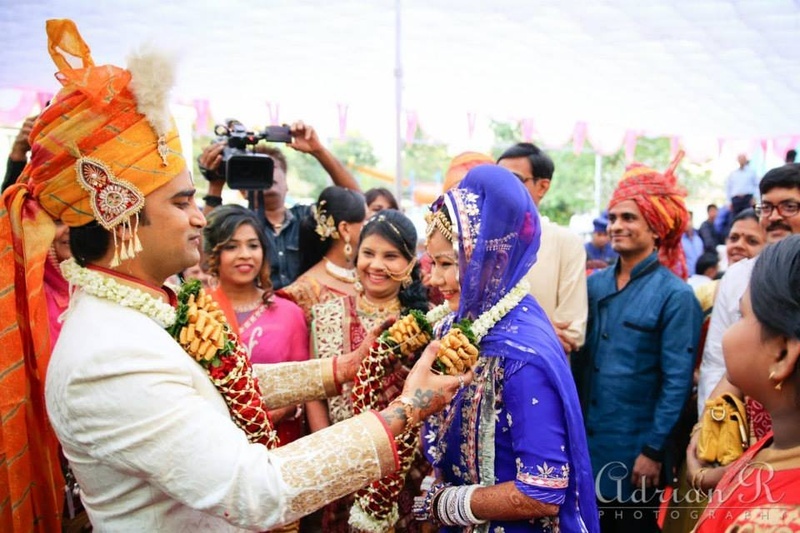 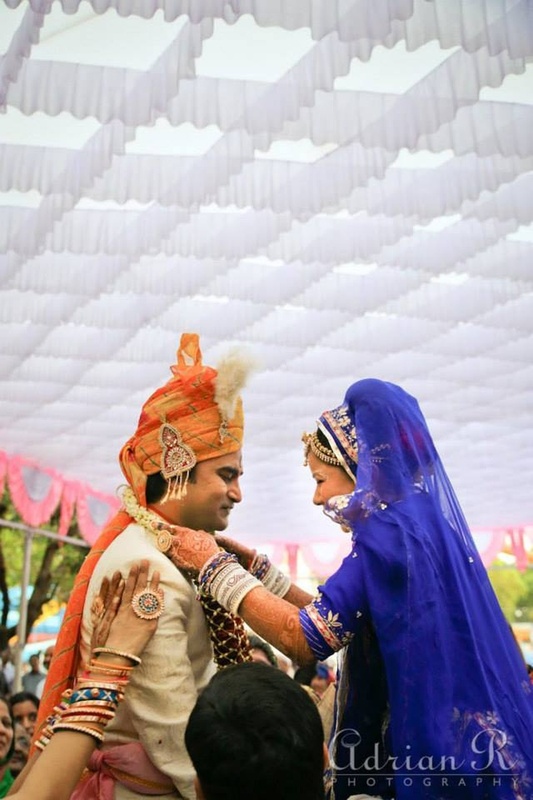 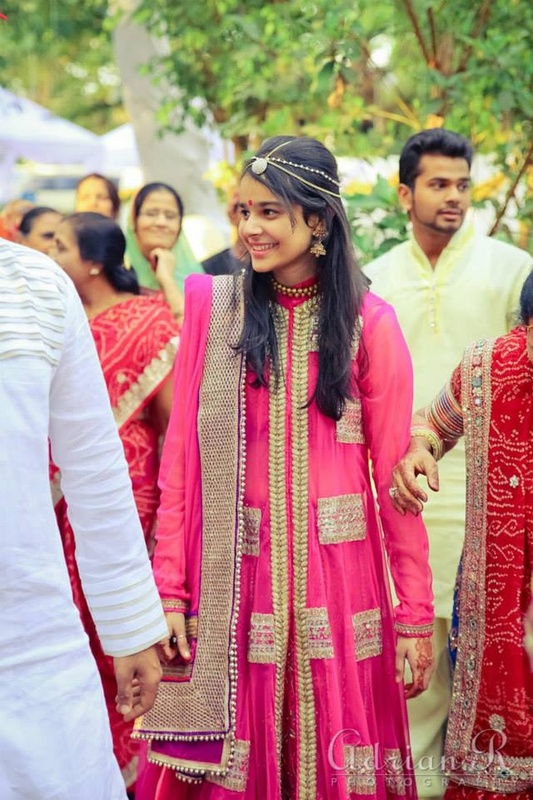 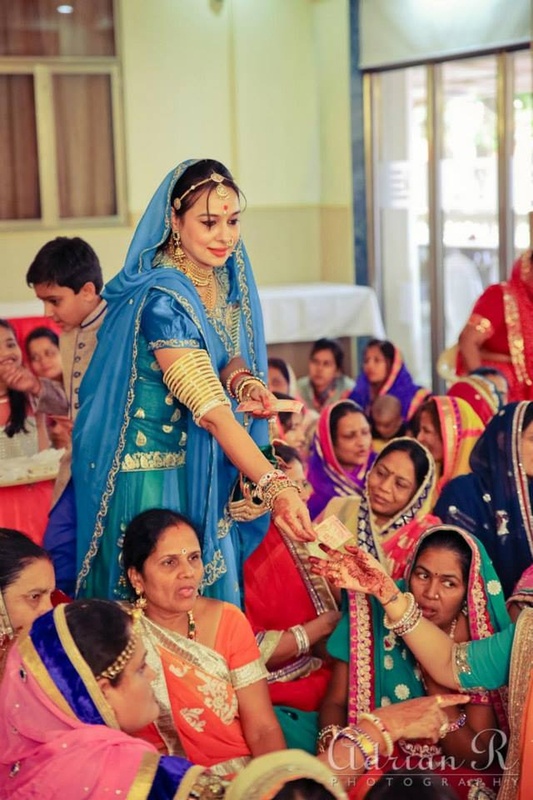 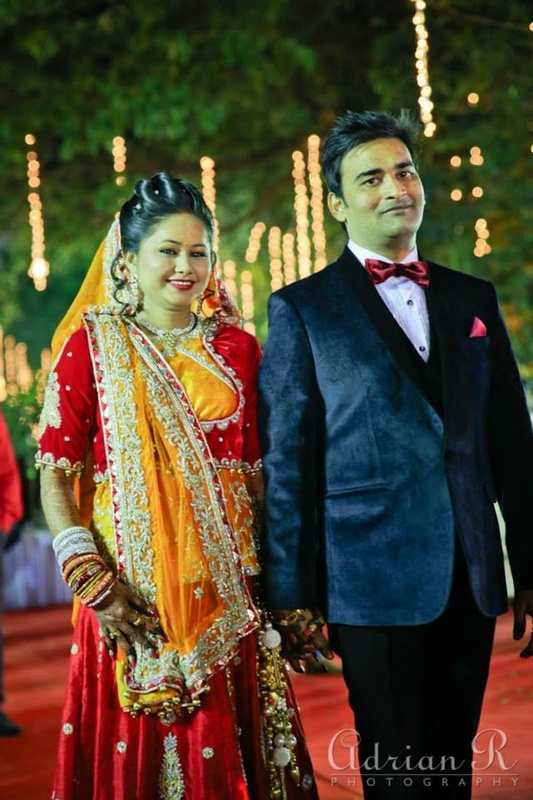 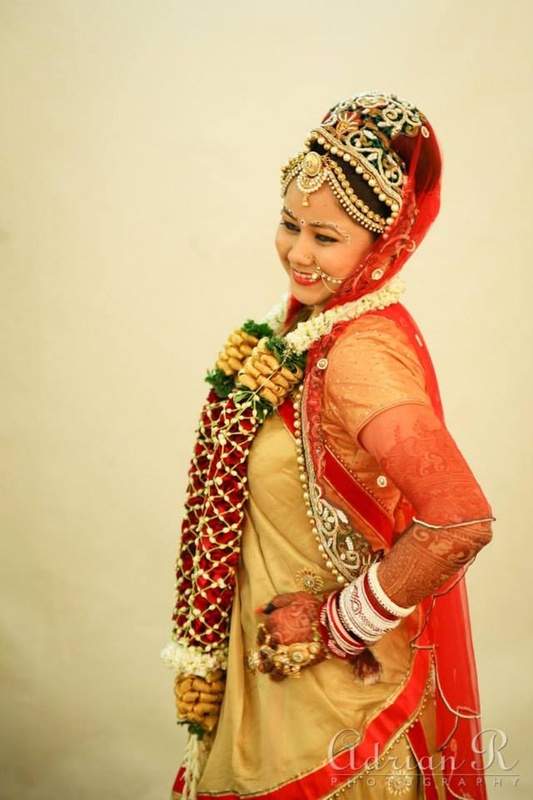 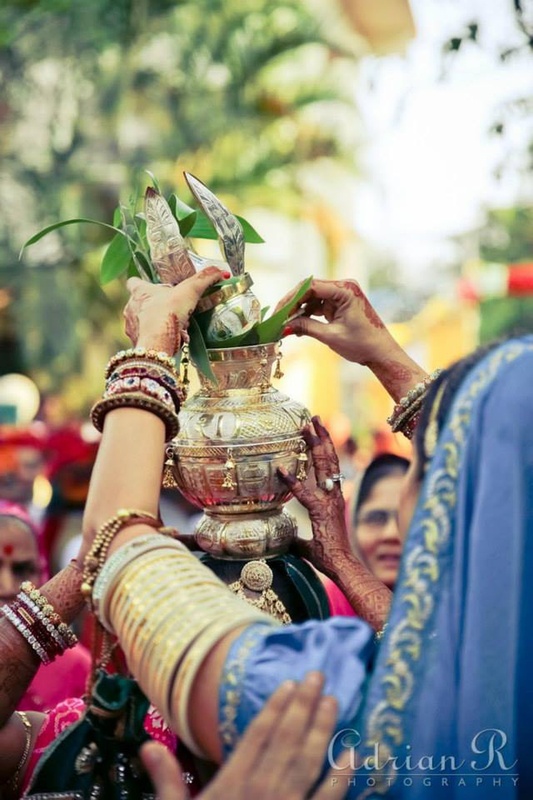 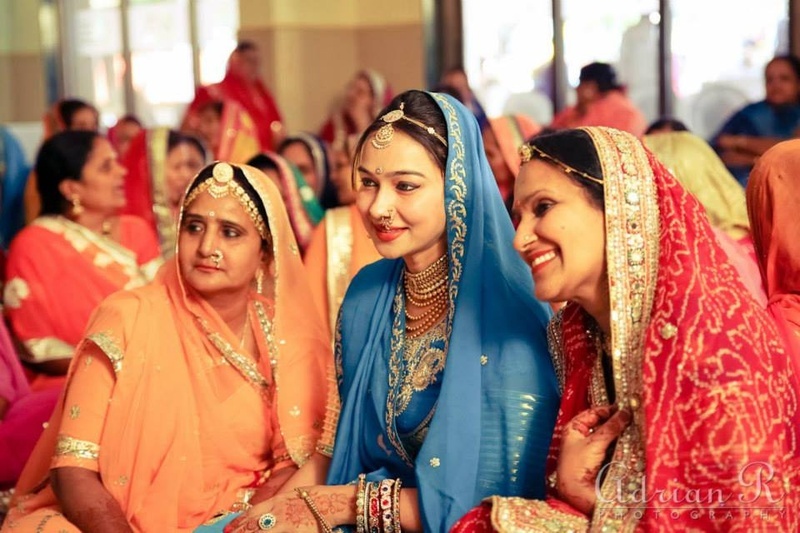 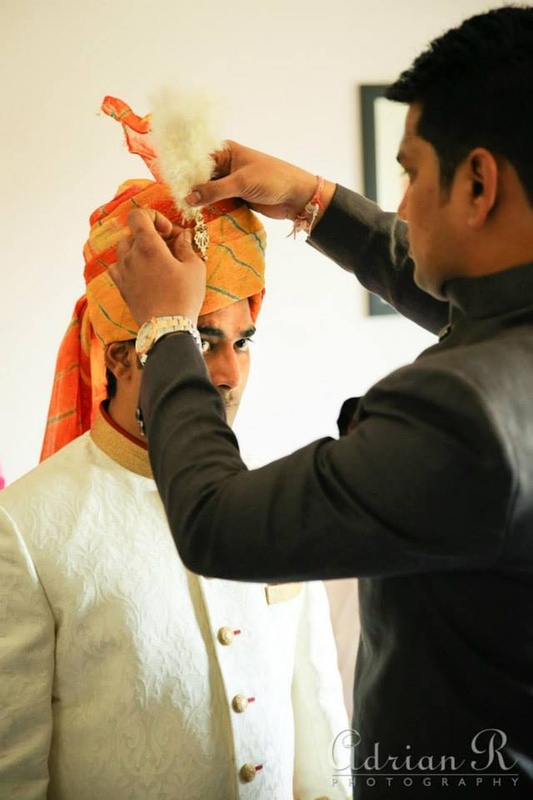 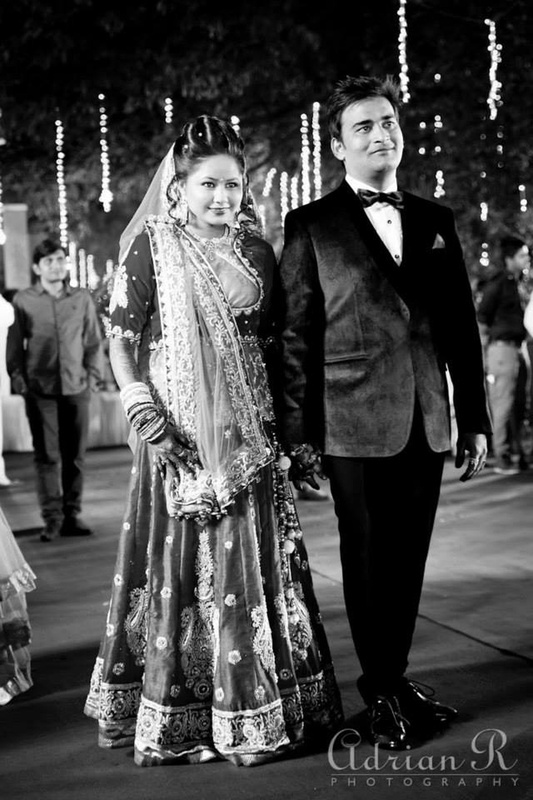 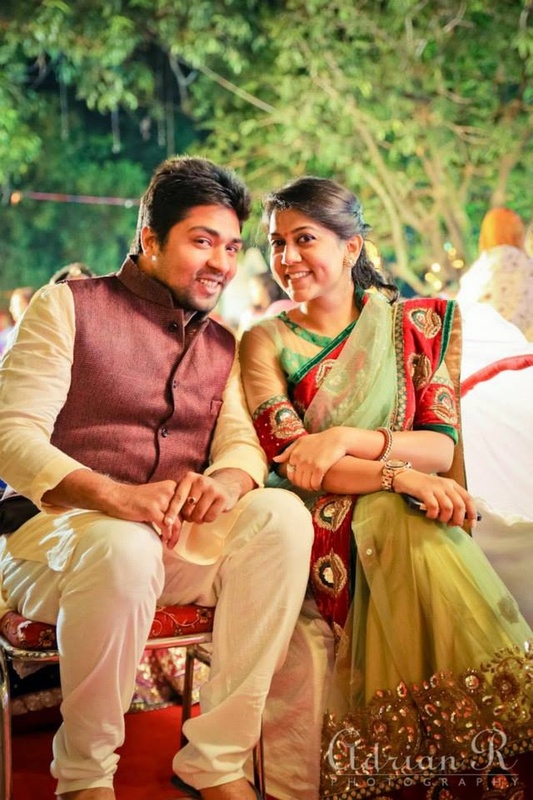 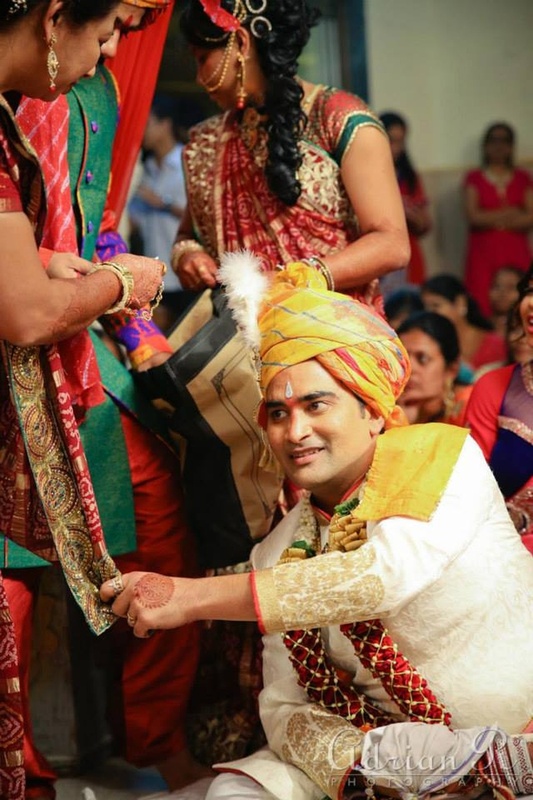 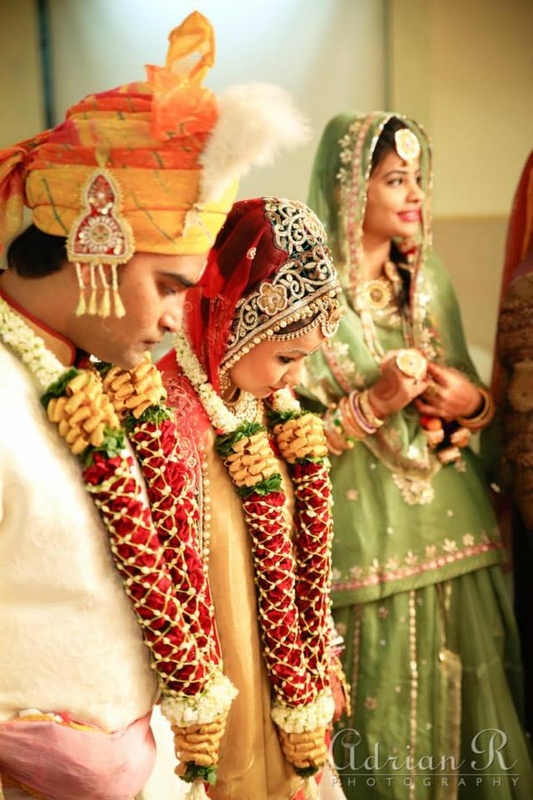 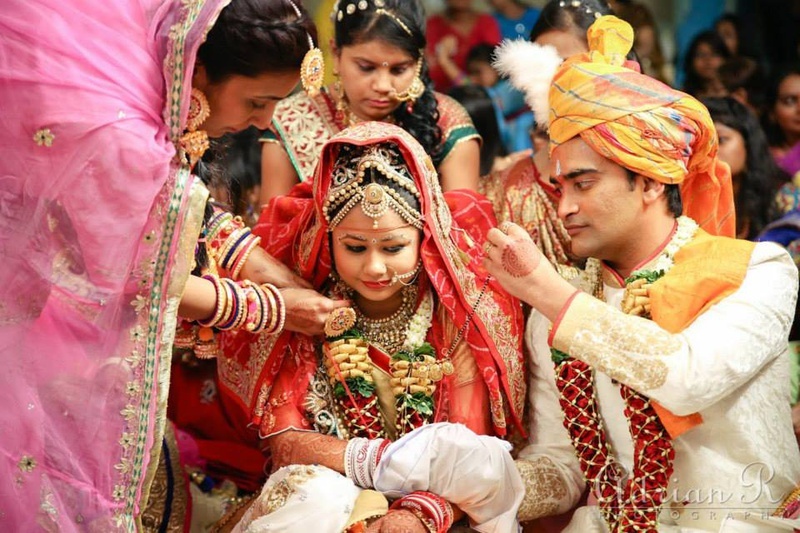 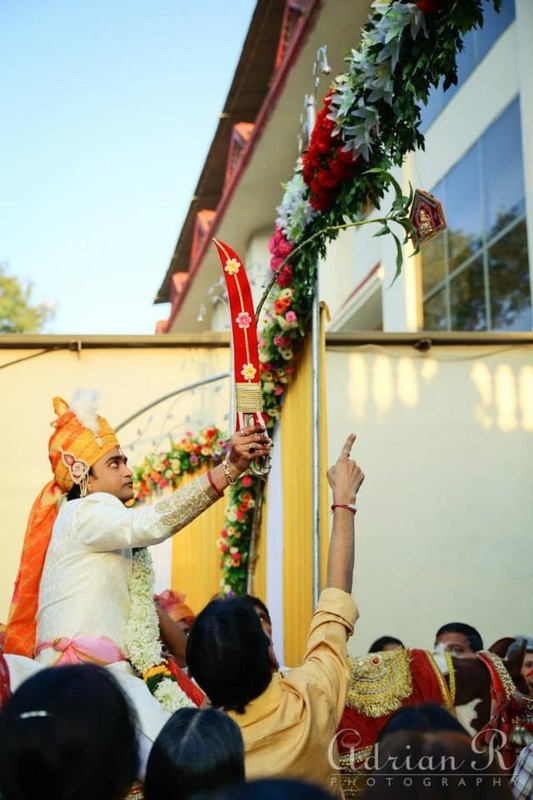 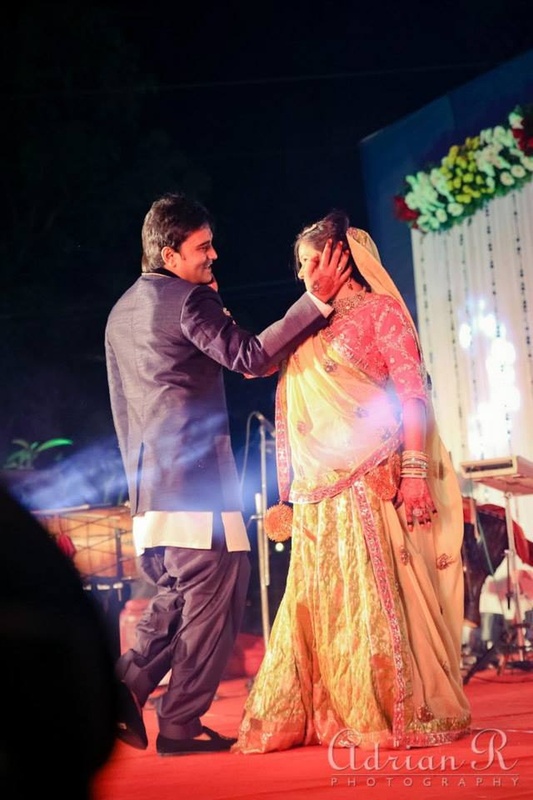 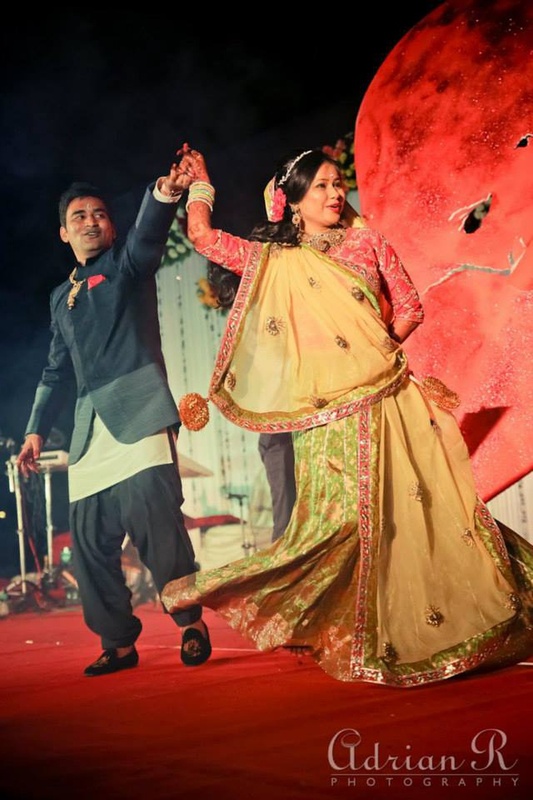 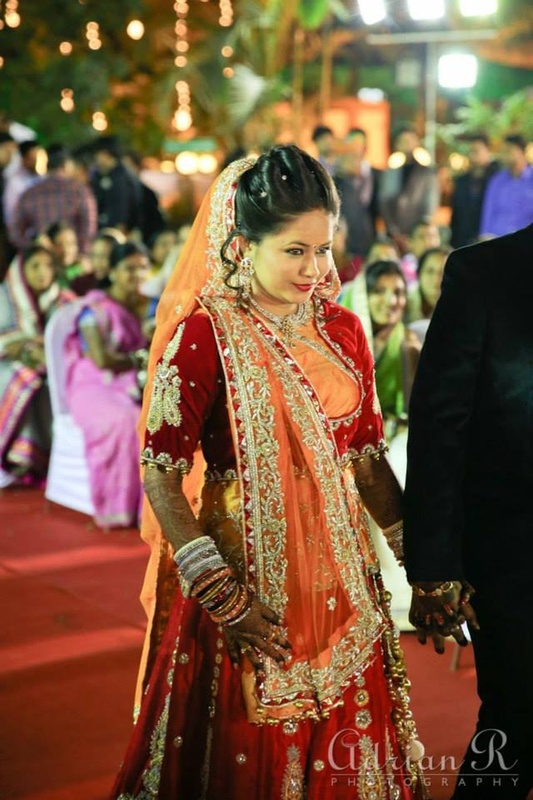 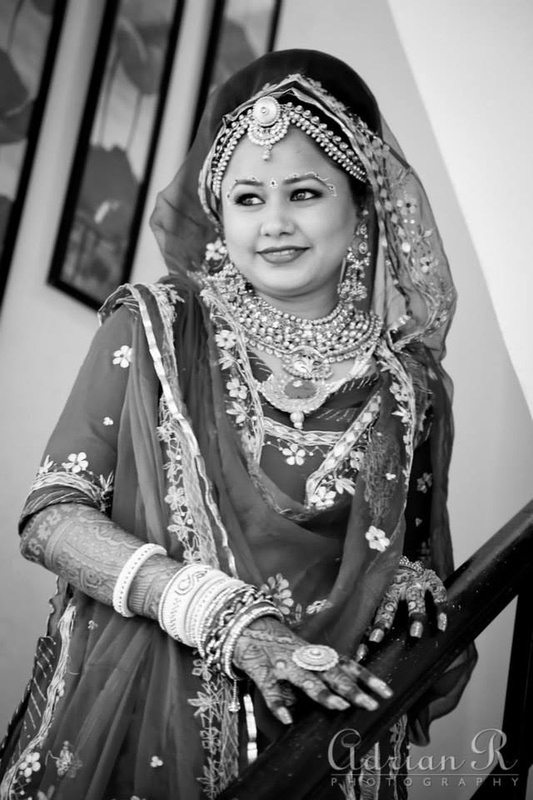 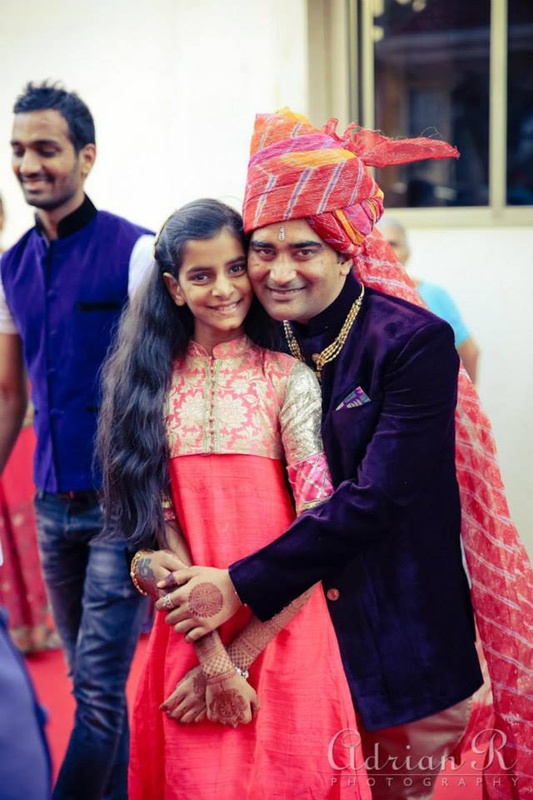 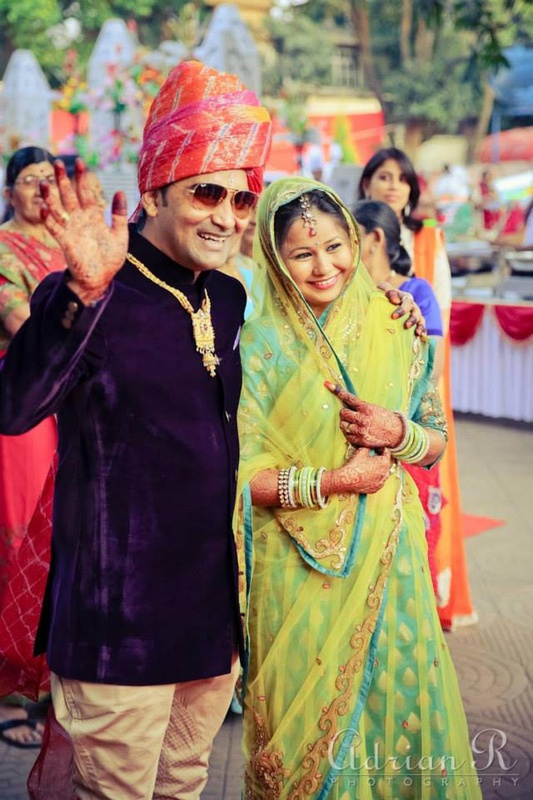 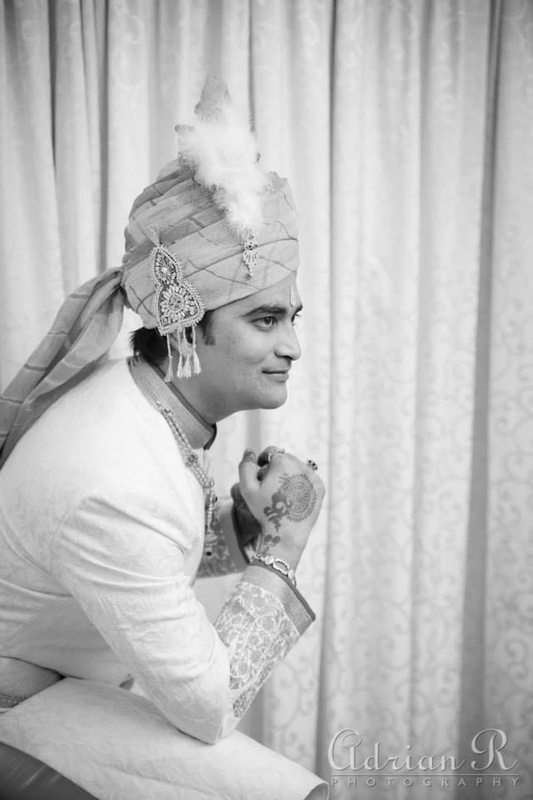 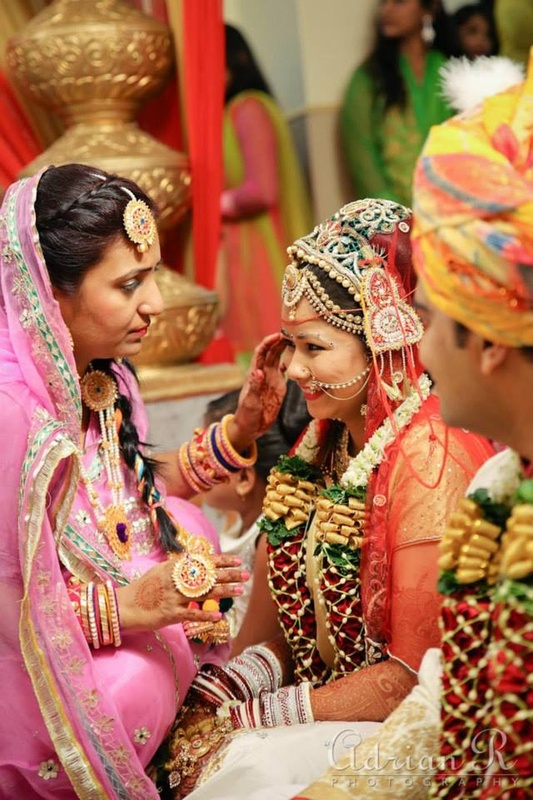 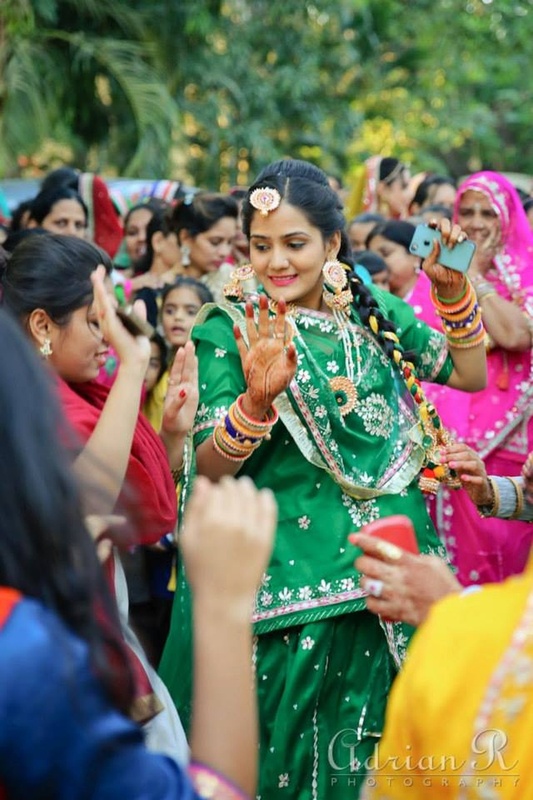 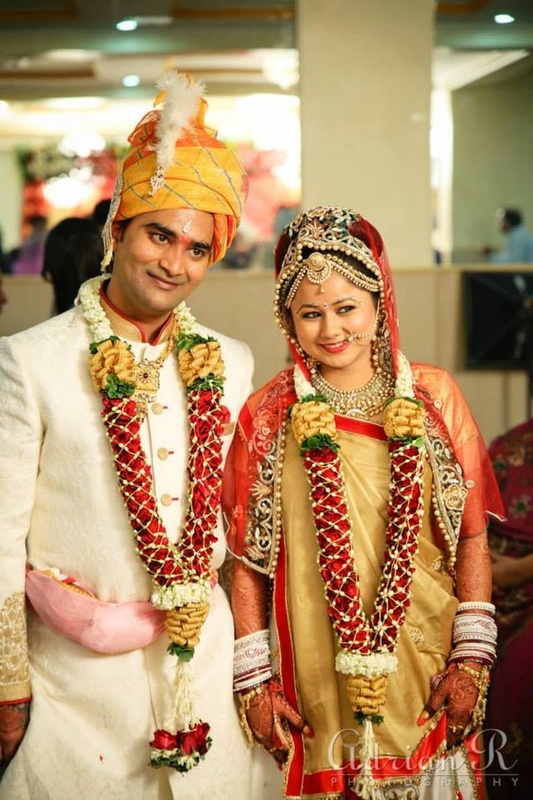 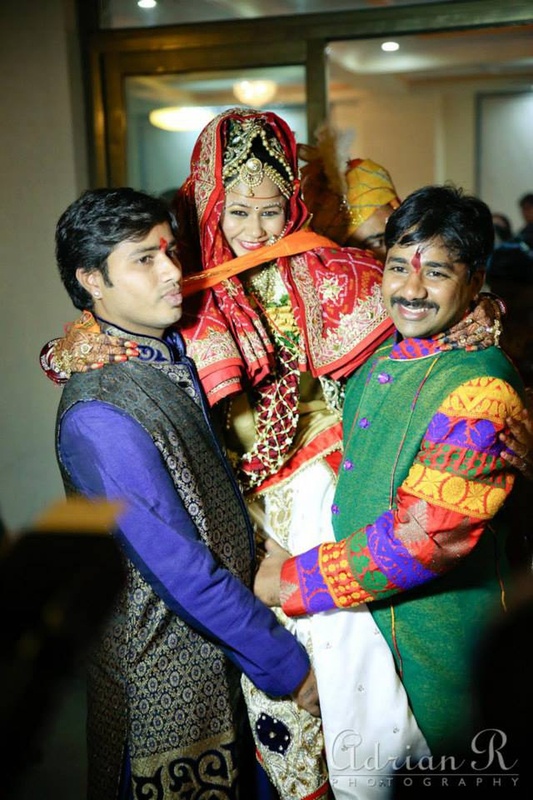 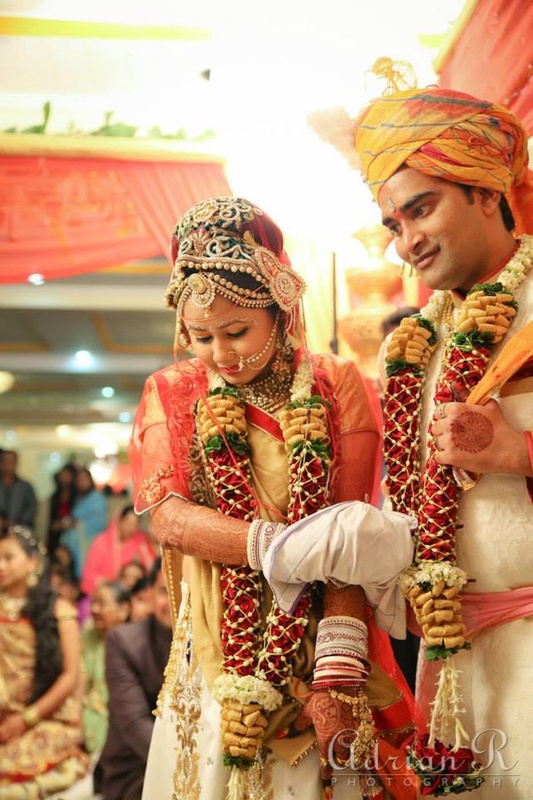 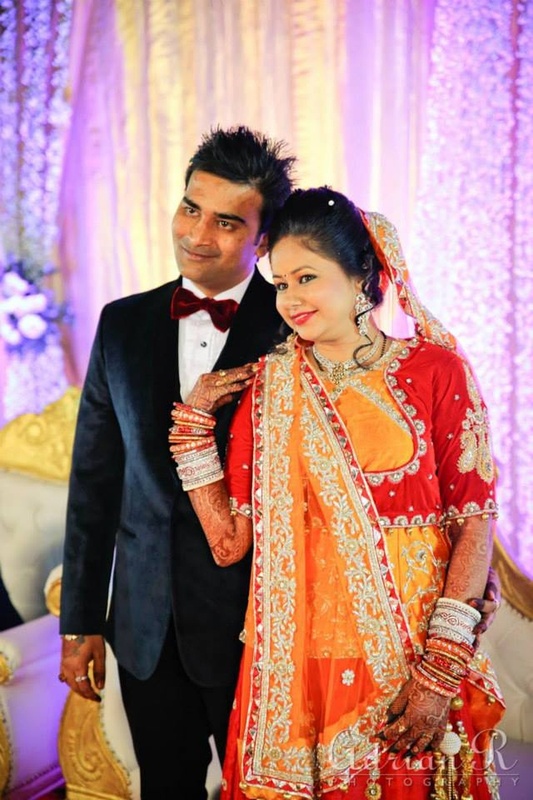 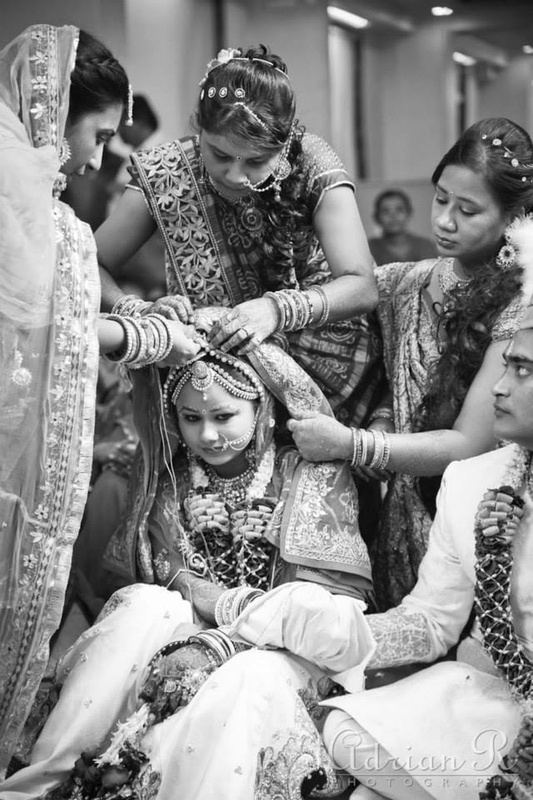 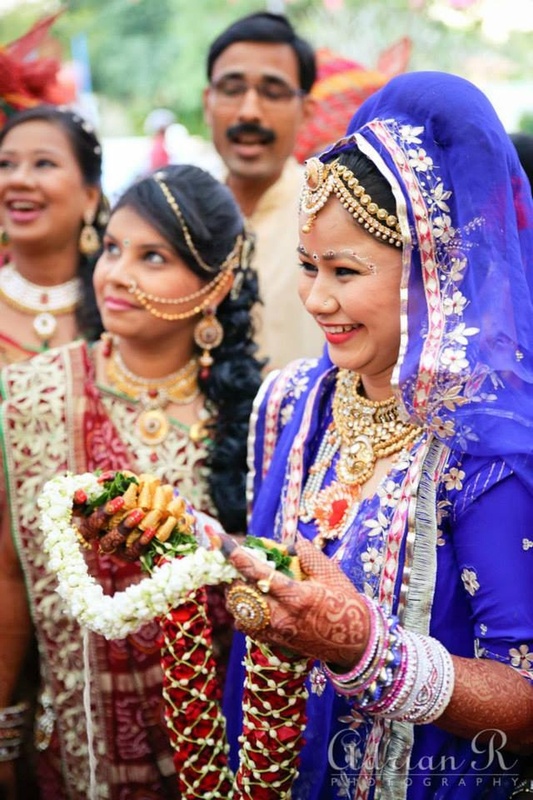 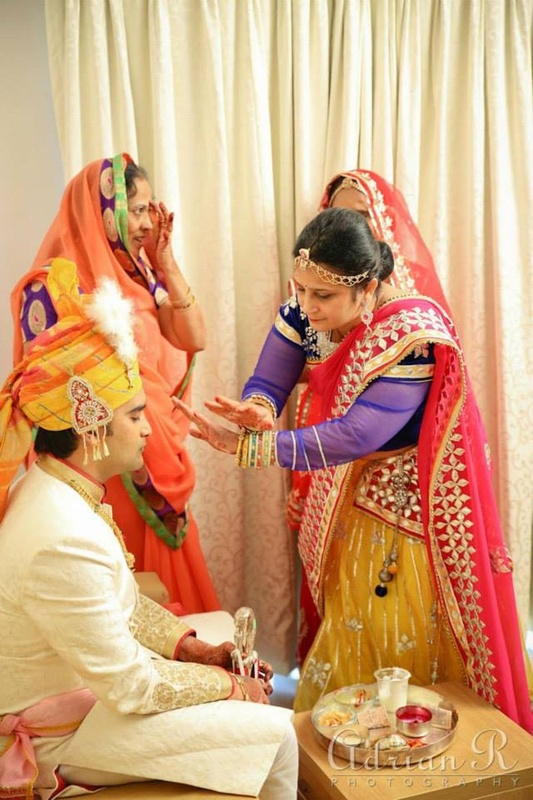 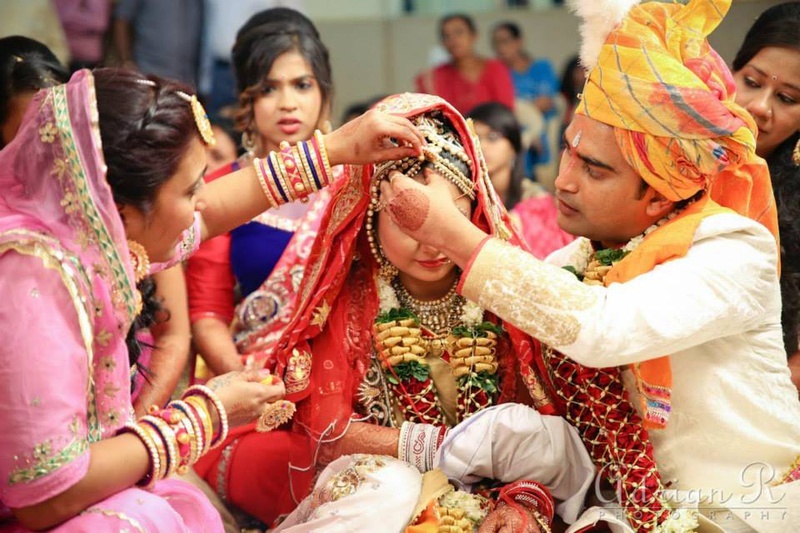 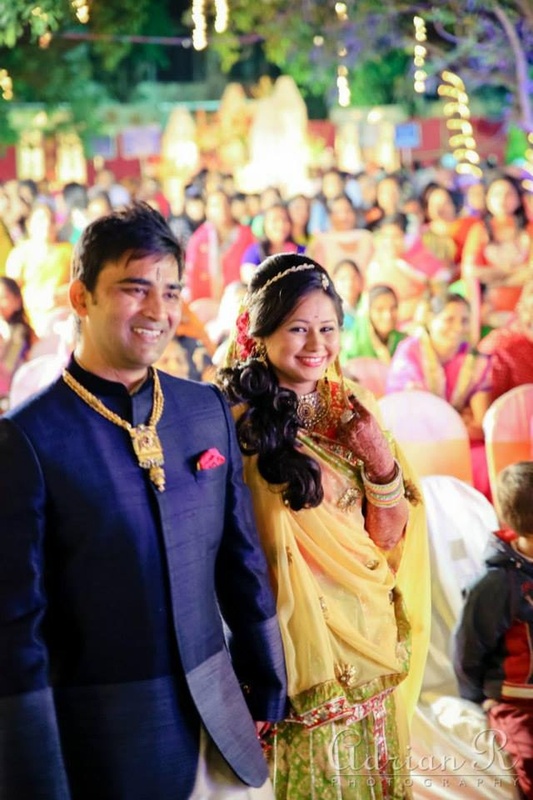 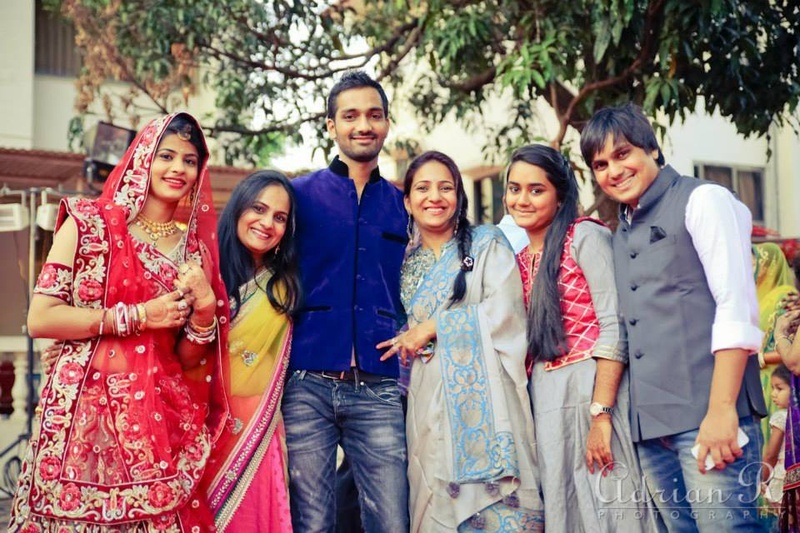 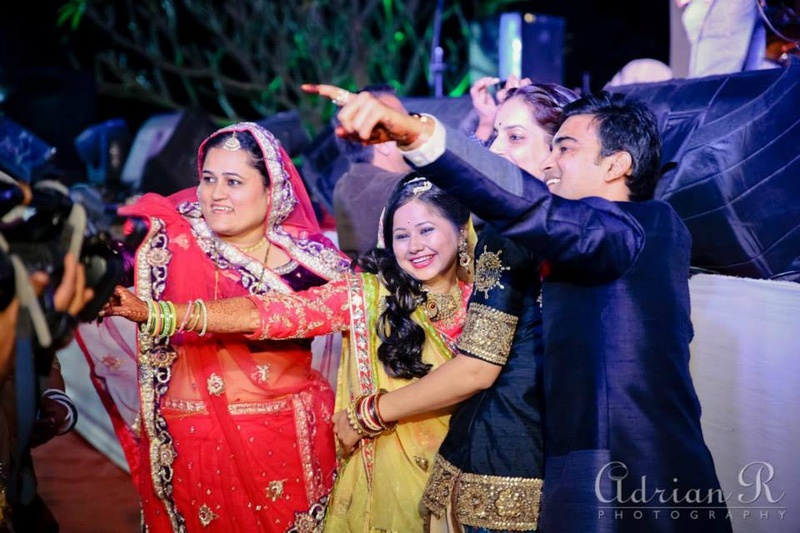 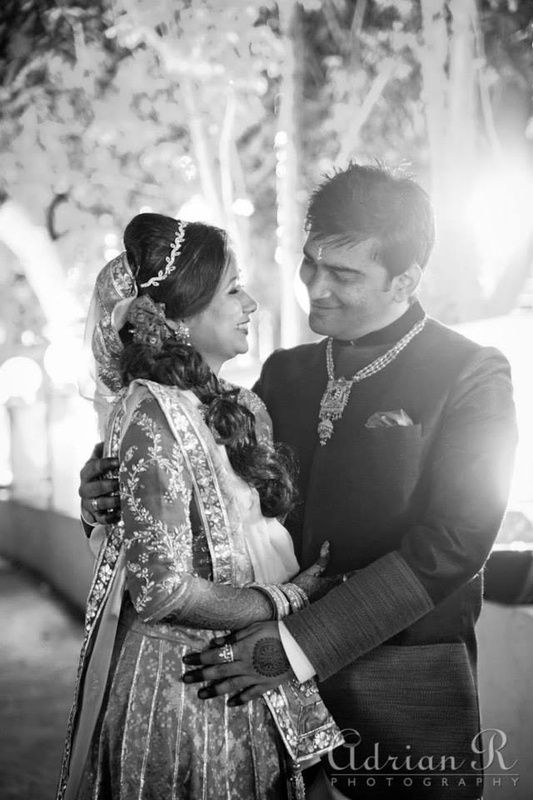 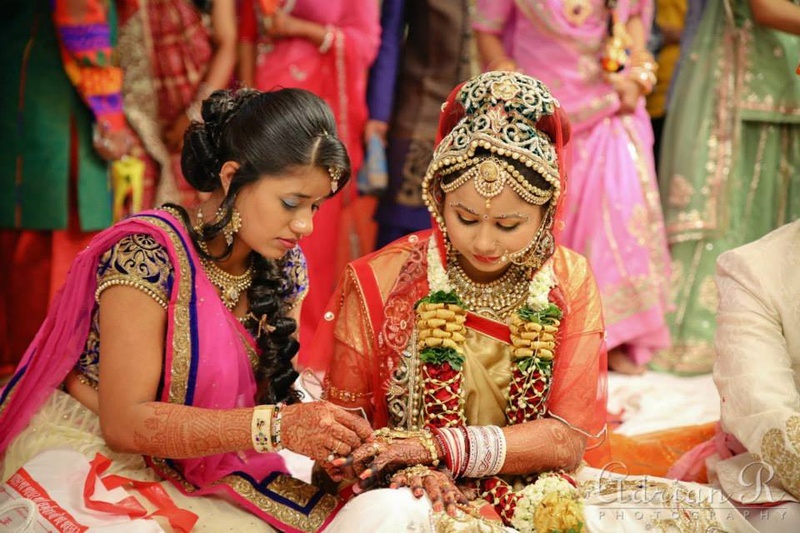 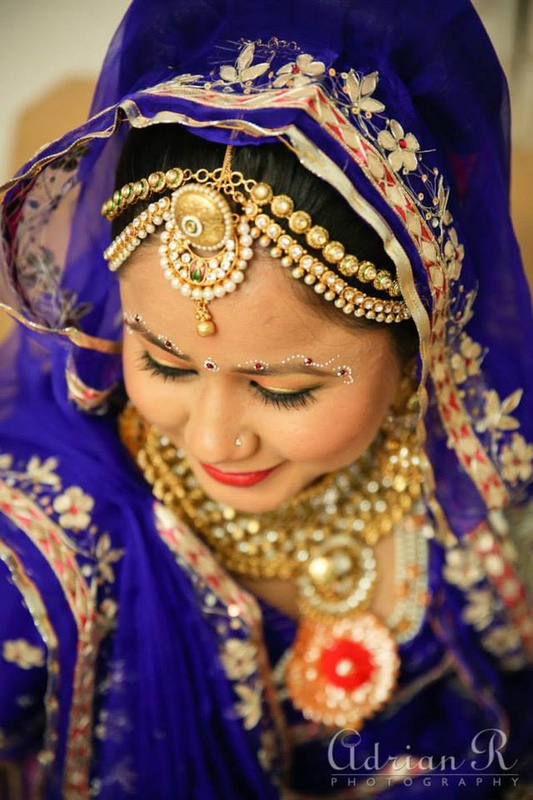 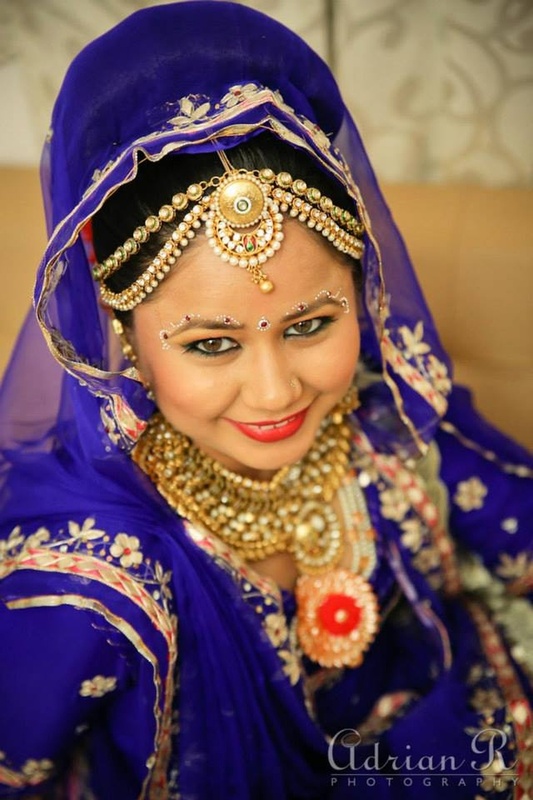 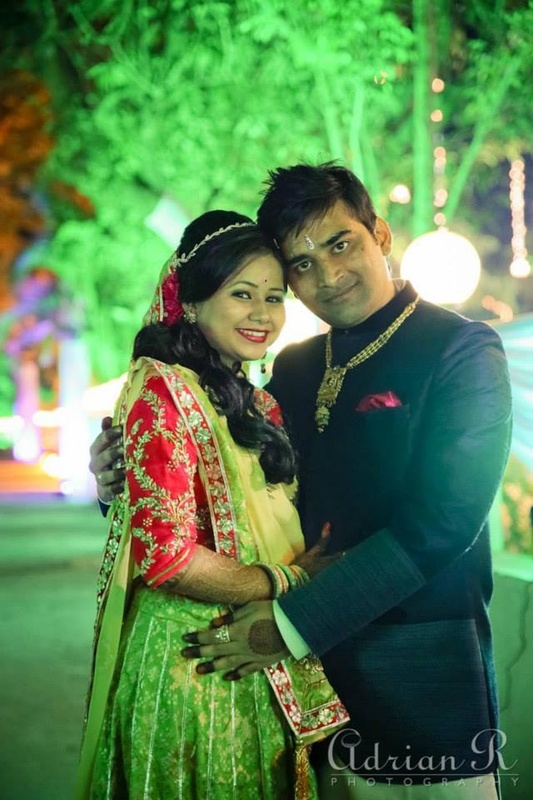 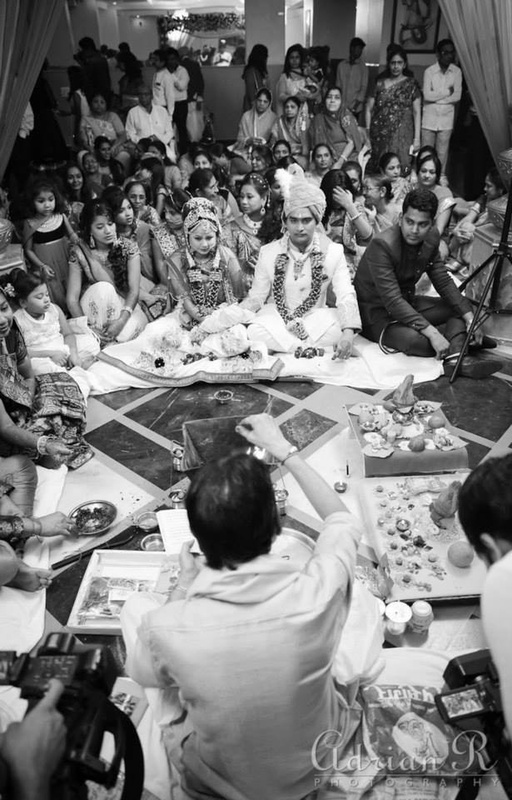 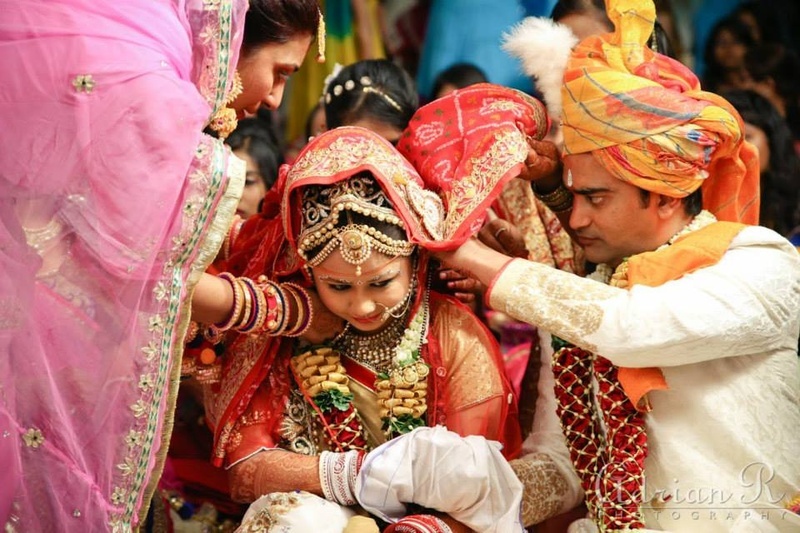 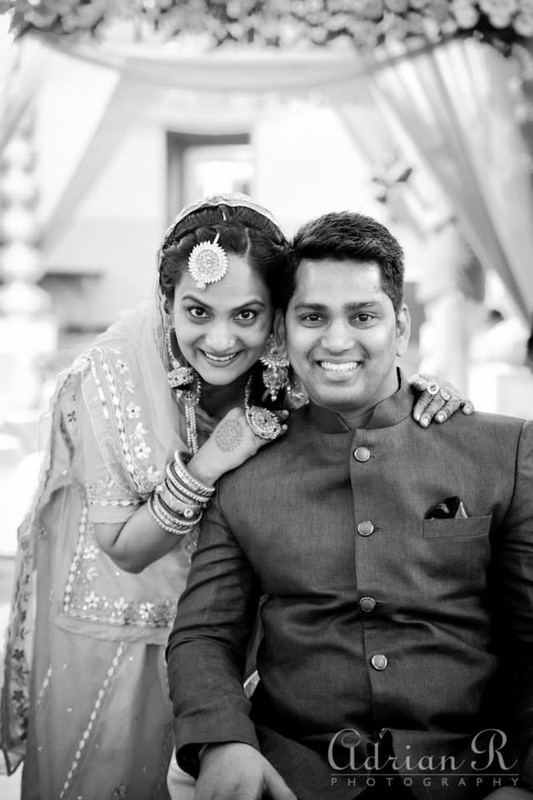 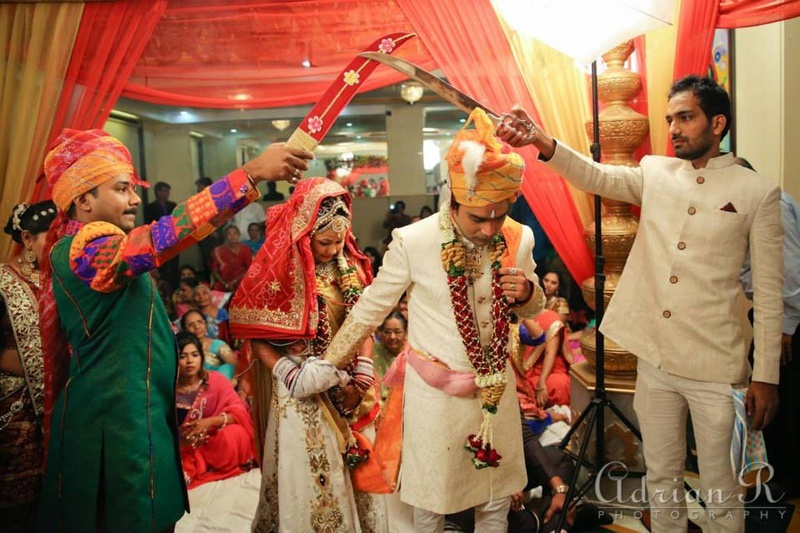 The couple exchanged garlands in an exquisite Marvari style, and the handsome groom tied the Mangalsutra around Dhwani’s neck to seal the togetherness forever. 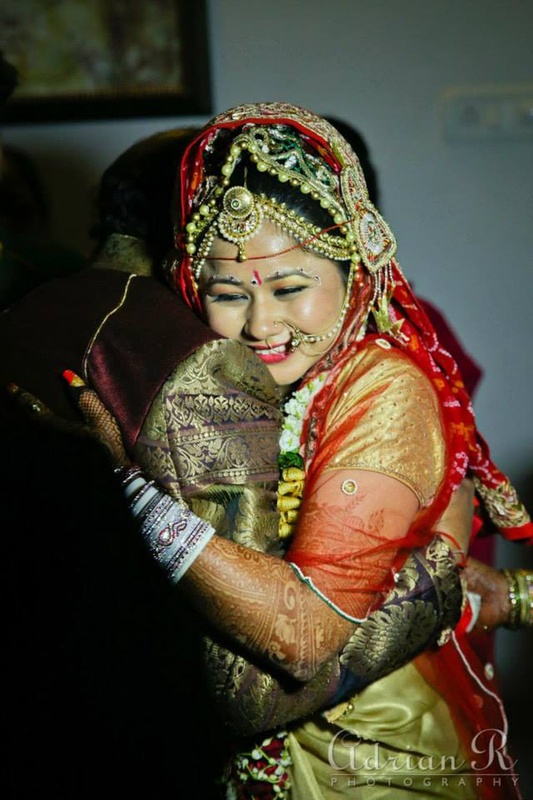 The functions subtly managed to bring both the family’s cultures together and it's all that really mattered in the end. 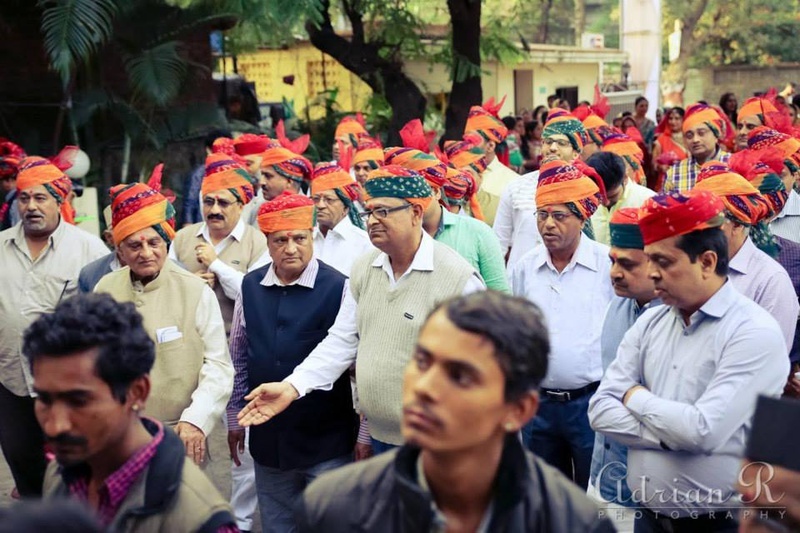 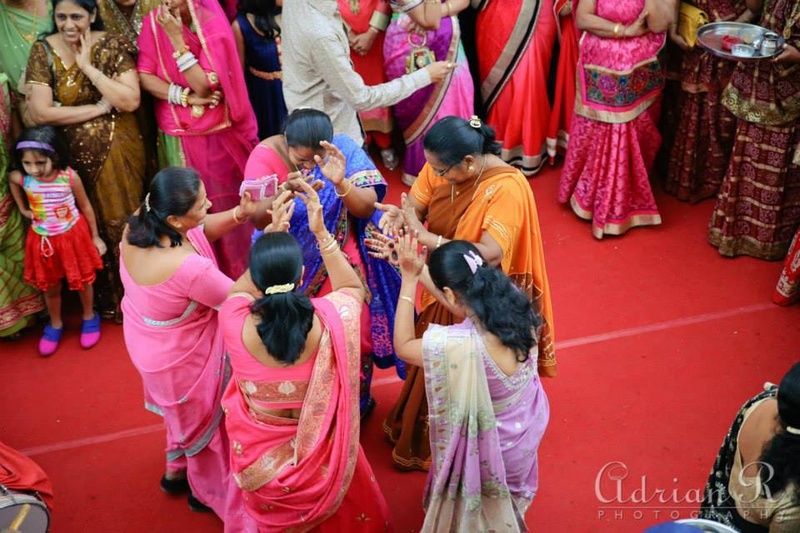 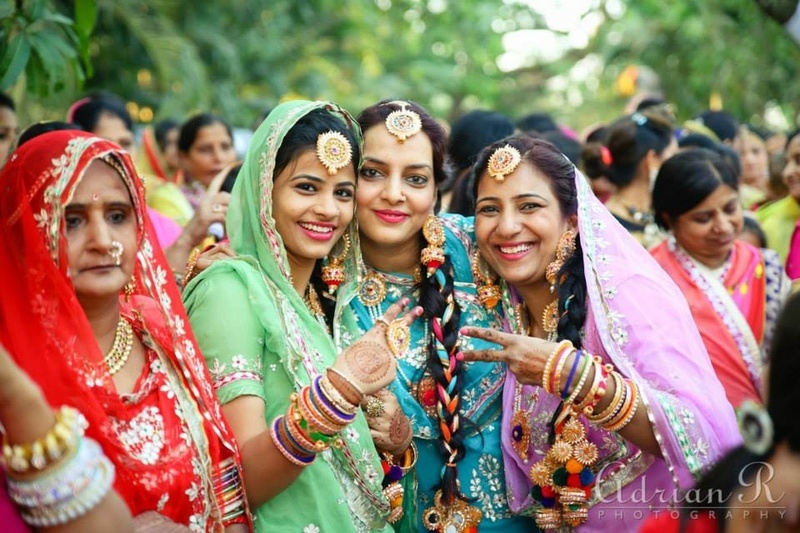 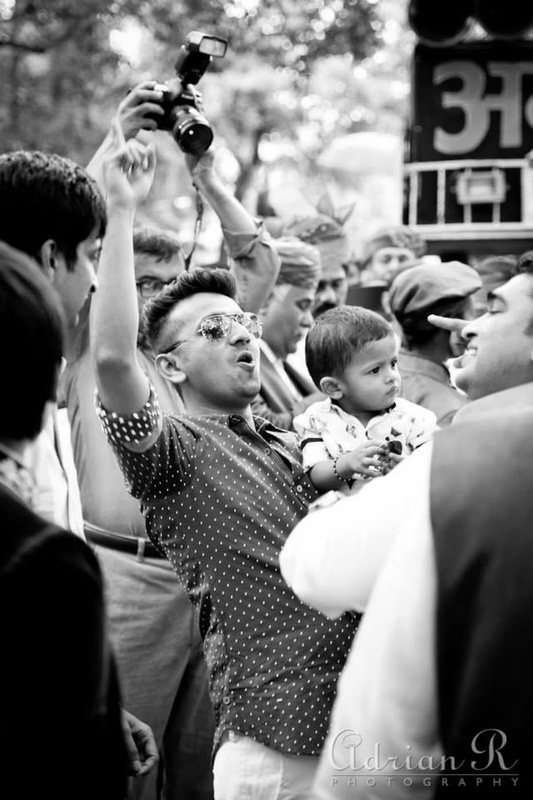 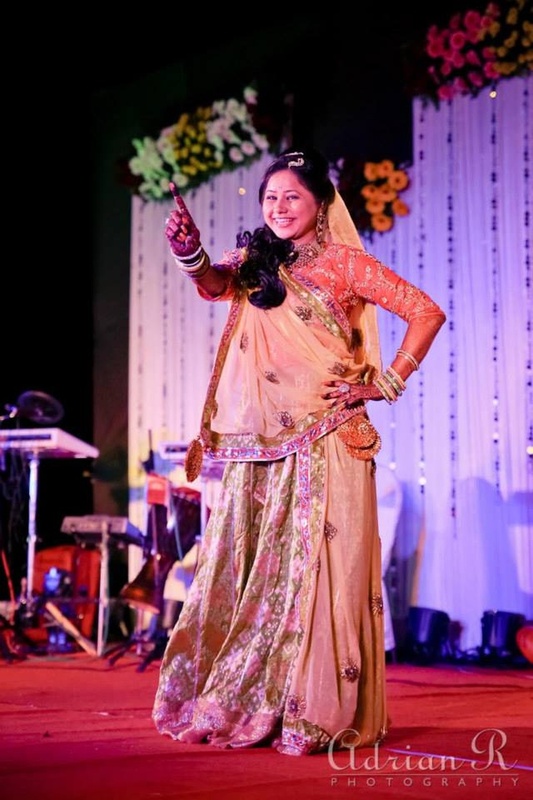 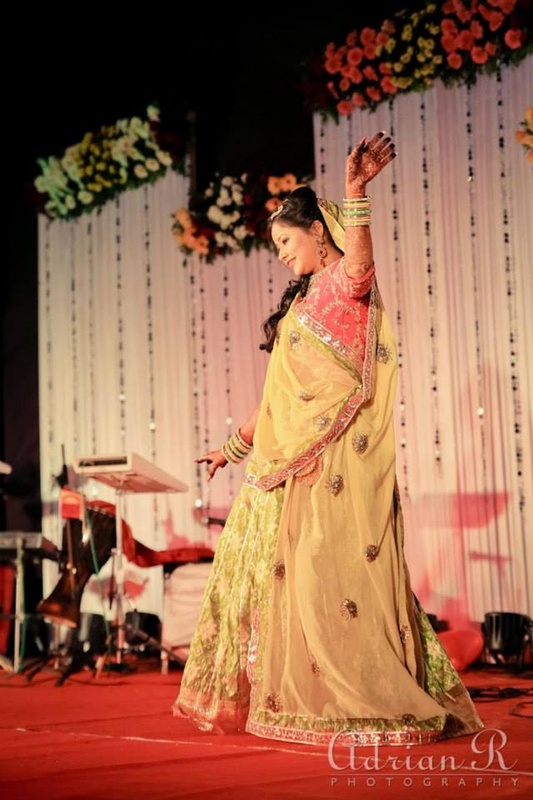 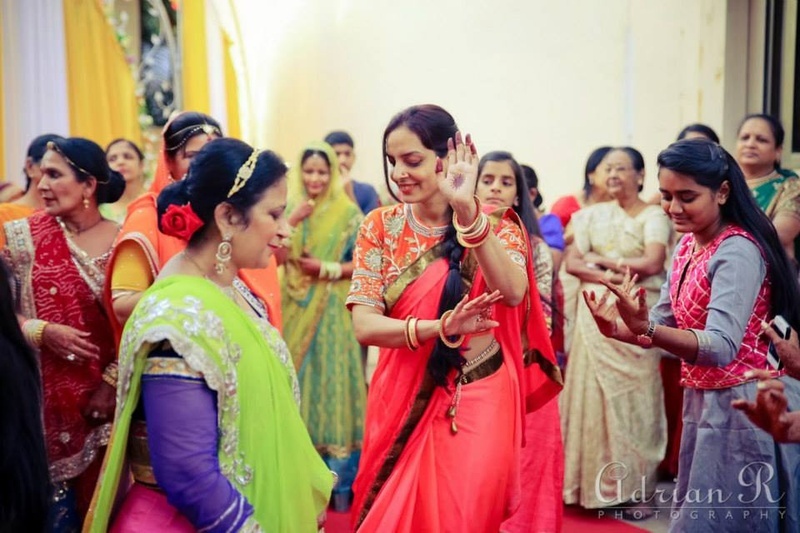 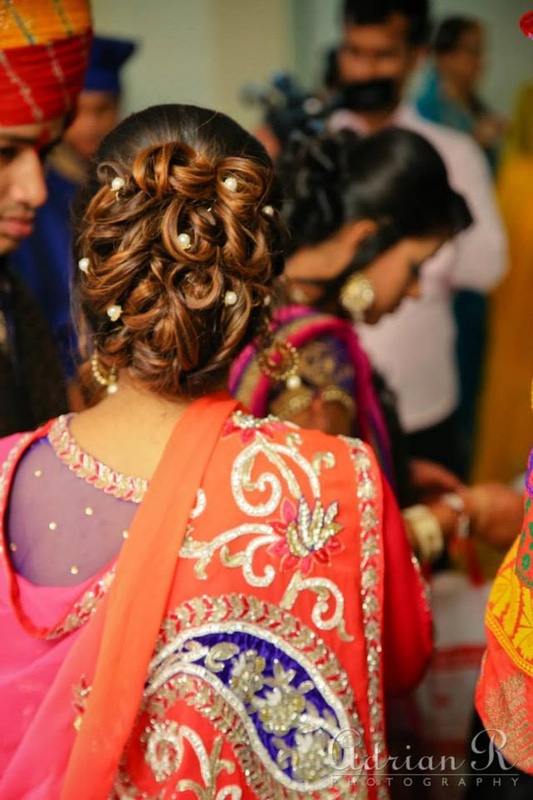 Each function had its own charm and emanated a beautiful, colourful vibe. 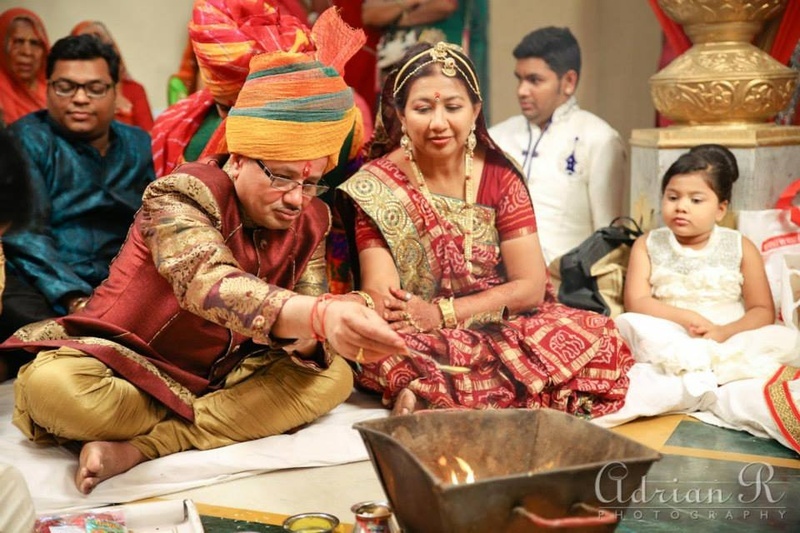 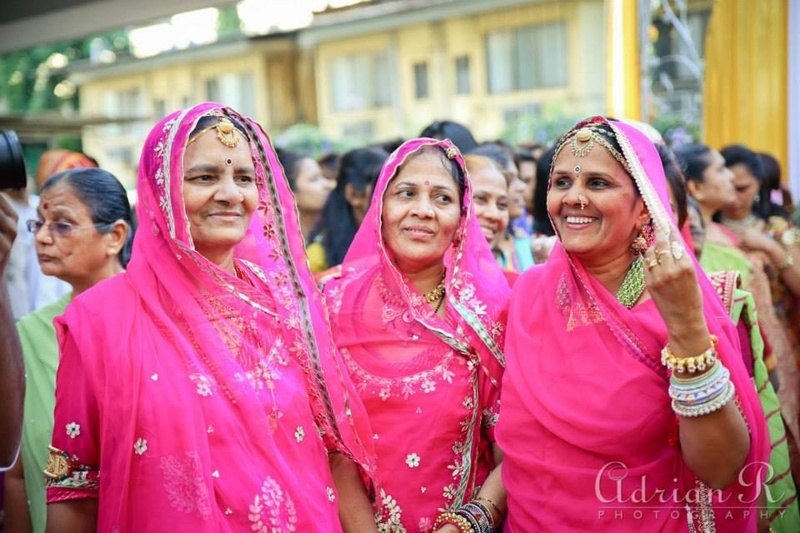 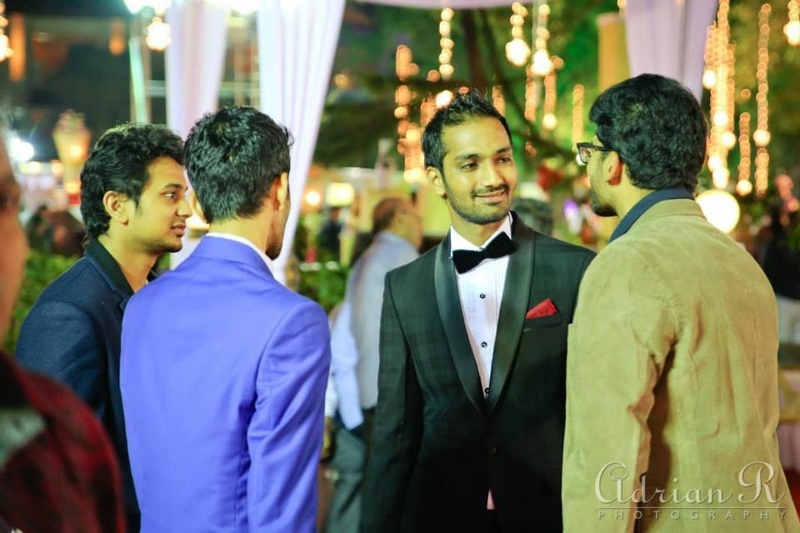 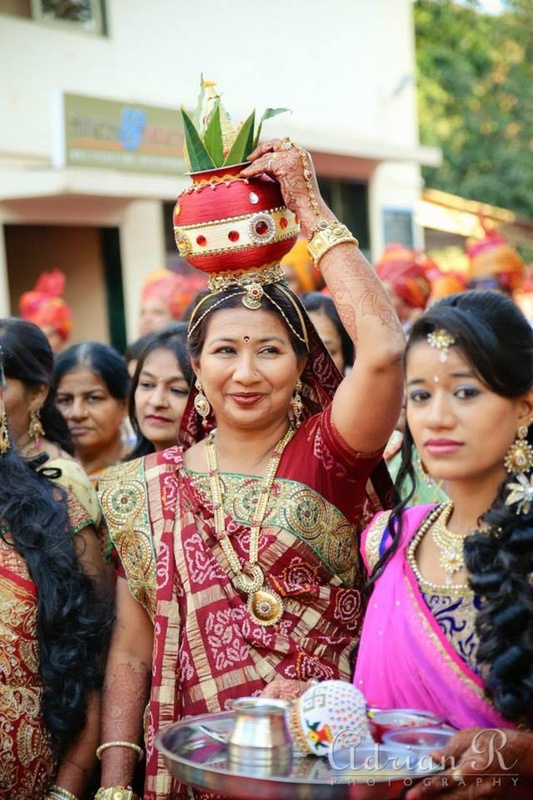 Check out a few pictures from the elaborate wedding functions. 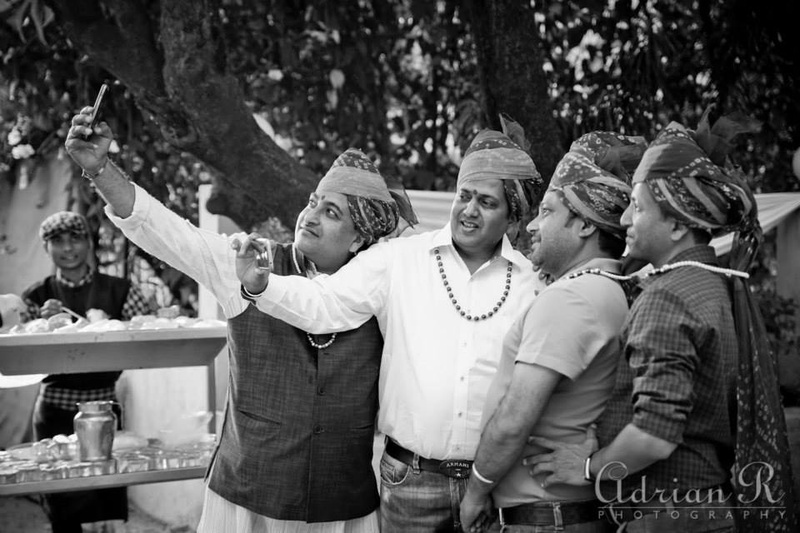 It's selfie time for the men! 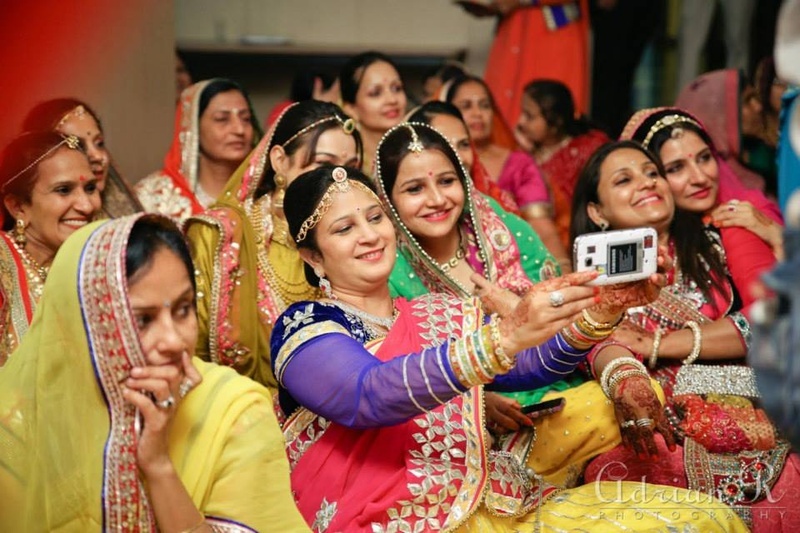 An all ladies wedding selfie!